What a beautiful Autumn day here in Chicago! I love this kind of days when the temperature in perfect! I wish we had all year round this kind of days! 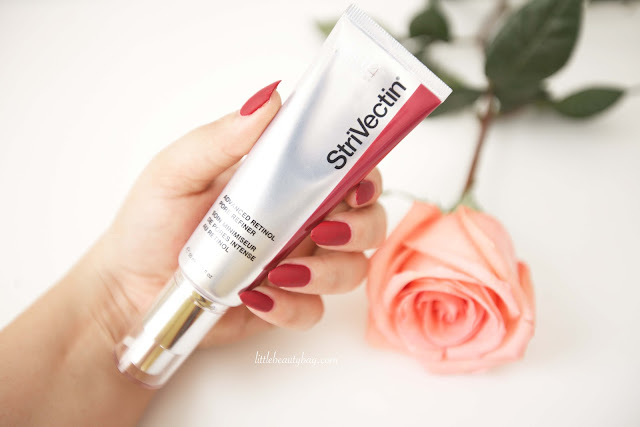 Today is the perfect day to talk to you about my oppinion of the new Strivectin Advanced Retinol Pore Refiner! Of course I said yes to testing this product & prayed for the best results, cuz it’s been awhile since I searched & searched for something like this. I’ve heard about Strivectin a few years ago but I didn’t gave them a chance just because I was tired of endless researches with no results. Well they won my heart, seriously, they won my heart with this product! But enough talking, let me tell you my honest oppinion about it! Speaking from my heart I can assure you that I didn’t gave this product too many chances. 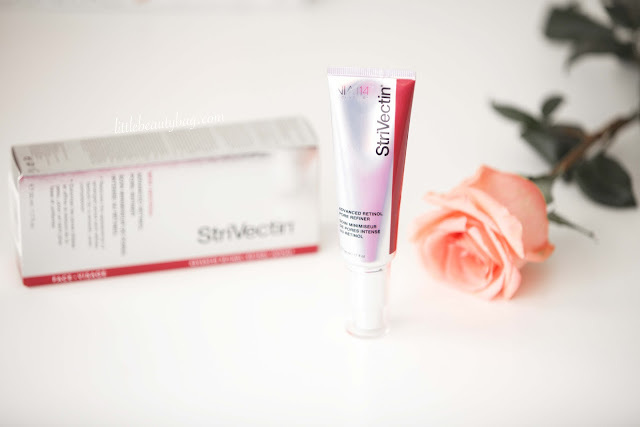 I received 2 Strivectin Advanced Retinol Pore Refiner lotions and I have to say that I immediately began the testing ( that’s how desperate I was ). Of course my mom seized one without asking me so the single photo you’re going to see with the both products is on my IG lol! When she saw the 2 magic words ” pore refiner ” she knew one was her LOL. 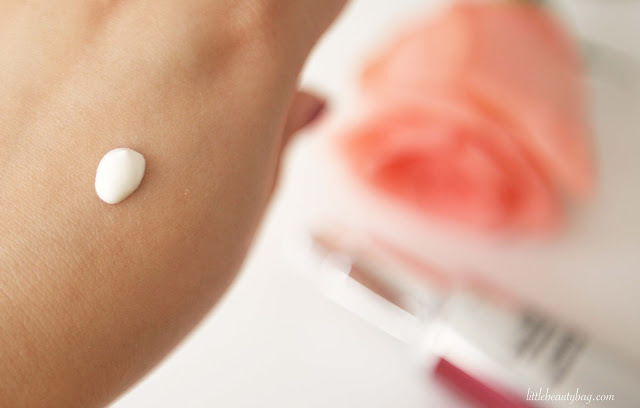 The lotion has a light texture that penetrates the skin really fast without making it sticky or heavy. 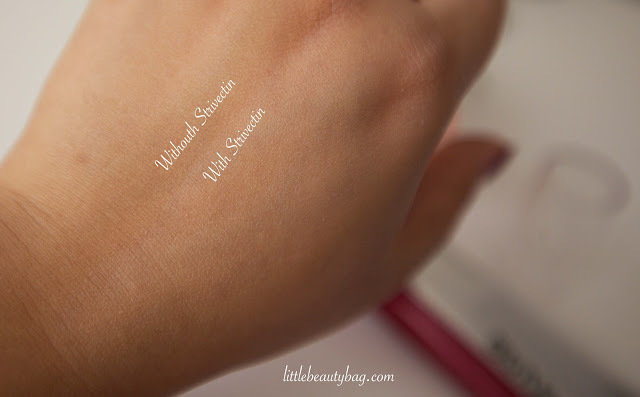 Another great thing that I noted is that from the first application, your skin will brighten. Retinol is the ingredient that minimizes the pores while NIA-114 fights with the traces of aging! After 2 weeks of using it day & night, I’m proud to say that my pores are 1/2 the size they were and that this product does miracles. I’m going to upload a before and after photo this days but let me show you what this product does from the first use. 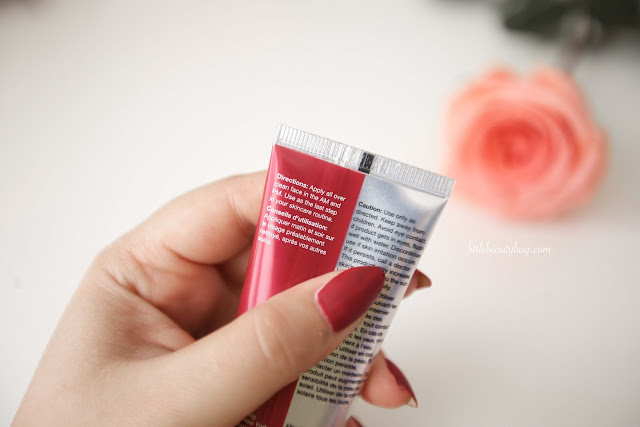 I don’t know if your going to be able to notice but can see that the part of my hand were I used Strivectin is more brighten than the other part. 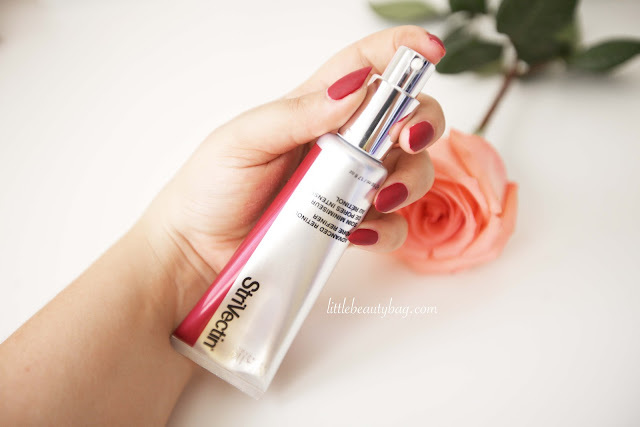 Is a small chance but is there, so this doesn’t work only on large pores but also on dark spots. Ahhh-mazing! My mom loves it, I love it, my face loves it, my pores not to much! The product retails for $99 and has a 1.7 oz ( 50ml ), it may be too much for your but this product worths every penny! Give it a try and you’ll fall in love! I recommend this product if you have large pores, dark spots ( even if you have oily skin ), if you want to brighten your skin and hydrate it! Is an amazing pore minimizing lotion and is also a anti-aging moisturizer! I will definitely purchase the product after I’m gonna use it! 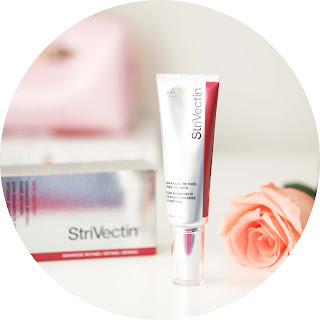 Thank you Strivectin for the products, your guys won my heart and I can’t wait to head to Nordstrom! 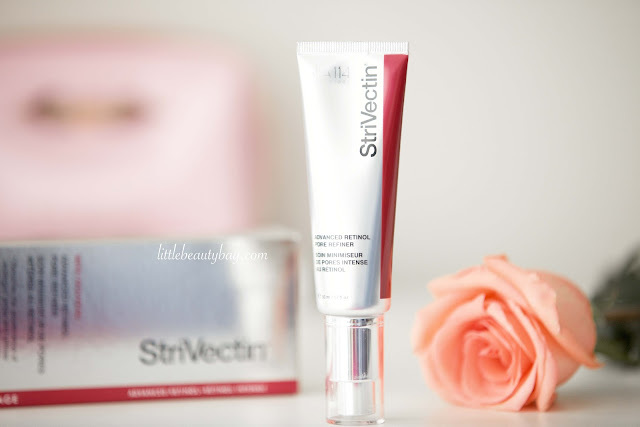 Are you considering trying the new Strivectin Advanced Retinol Pore Refiner? Disclosure: The product in this post was sent to me by their PR company for consideration. For more information please visit my Disclaimer page!